Whereas imperialism is primarily the desire of an insatiable predator, i.e. the desire to acquire new colonies, fascism aims at arousing that desire among the general populace, so that a war for conquest becomes psychologically unavoidable. 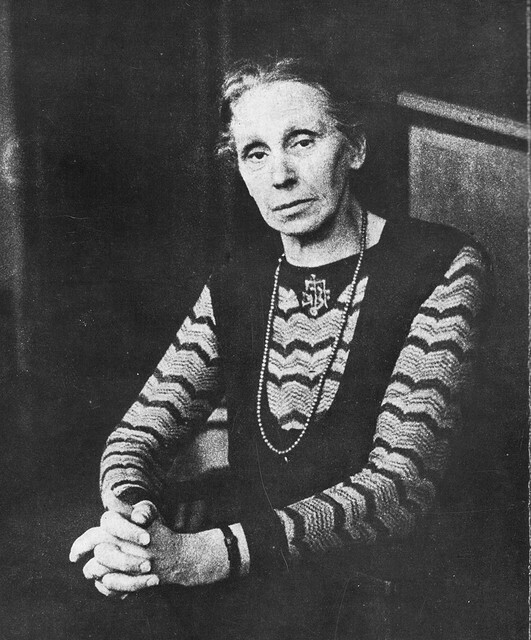 she wrote prophetically in 1933.
in Geneva where she met Nehru, Albert Schweitzer, and the young Mohammed Hatta, she shocked the staid representatives of the League of Nations and the international press by claiming that Dutch authorities dispensed medical aid in Indonesia only because “a dead coolie cannot work.” During the German occupation of the Netherlands in World War II, when she was in her seventies, she published anti-Nazi poetry in underground magazines while giving shelter to Jewish and resistance refugees. But even though she lost none of her combativeness as she grew older, decades of frantic activity, of crisscrossing the country by train, always in third class, for speeches and demonstrations, writing at night against deadlines, took a lasting toll on her body. Photographs of her in the late 1920s and 1930s chronicle an alarming physical decline. There is some indication that after periods of intense work, mental exhaustion became a serious problem for her. Although Etty is careful not to indulge in armchair psychiatry, she does record long periods of time, sometimes up to a year, in which HRH retreated to her estate in Brabant or foreign health resorts to recover from depression. The desire to deny herself the benefits of her wealth became more and more outlandish. Friends shook their head over her shabby clothes and ascetic vegetarianism; by 1935, “Tall Jet’s” weight was down to 110 pounds. In more ways than one, Gandhi had become a role model. Non-violent resistance against all forms of oppression and injustice directed her activism in those last decades. 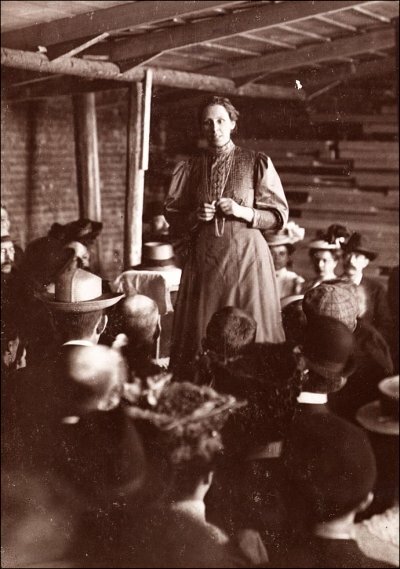 Her thinking evolved toward a religious socialism akin to the teachings of Leonhard Ragaz, whom she came to know well in the 1920s, and in 1939 she left all she owned, quite a fortune, to the Woodbrookers, a Dutch leftist-protestant organization inspired by Quaker principles. HRH’s itinerary from doctrinaire Marxist to religious socialist is not extraordinary, in se. We don’t have to look very far to find fellow travelers who changed their mind—many of them much later than she did and ending up in much weirder places. Nor was it simply a matter of dour reality breaking through and ultimately shattering youthful idealism. Biographies like this one remind us that intellectual history is more than a succession of –isms, which are of course convenient abstractions rarely experienced in pure form on the individual level. HRH’s story allows us to trace the internal struggles, the hidden questions and doubts that broke into the open between 1917 and 1927, gave a new orientation to her life in the 1930s, but were never entirely resolved. If I have one, mild criticism of Etty’s analysis, it is that she devotes relatively little space to the origins of HRH’s socialism, probably because she assumed them well known to her Dutch audience. Readers familiar with the literary movement of the Tachtigers (“the 1880-ers”) will have no trouble understanding their impact on the young poet, determined to leave a mark on the world through the passionate expression of the most individual experience in the most sensual language (yes, only superlatives will do here). And now a very long post about the most famous woman you have never heard of. At least, I think most of my American readers won’t know her. In her native Holland, Henriette Roland Holst (1869–­1952) is “world famous”, or perhaps I should say she was famous, especially to an older generation now almost gone. Back in the 1970s, in my school days in Flemish Belgium, we were taught that she was “Holland’s greatest poet” and read some of her work, which unfortunately struck me as hopelessly archaic. We learned nothing whatsoever about her extraordinary life. Although Holland and Flanders share of course the Dutch language, history classes in Flanders tended to ignore Dutch history after the Revolt in the sixteenth century, when the northern and southern Netherlands parted ways politically and to a certain extent also culturally. After that, nothing much happened up there apparently, in that barren land of Calvinists, endless polders, and bad food. And in any case, Roland Holst was a woman, which made her life by definition of no significance. I was drawn to her again after writing on Gustav Landauer and learning that Henriette Roland Holst knew him. It turns out she knew–knew very well—lots of people, and who! She sparred with Lenin, possibly had an affair with Trotsky (“He was imposing and magnetic”, “a luminous figure”, “a giant of intellect and will power,” she wrote), shared the stage with Karl Liebknecht and Rosa Luxemburg, and much later became one of the first Westerners to support Mahatma Gandhi and the Indonesian nationalist leader Mohammed Hatta. This and much more I learned belatedly from a wonderful biography by Elsbeth Etty, Henriette Roland Holst 1869–1952. Liefde is heel het leven niet (Amsterdam: Contact, 1996), whose more than 700 pages I devoured in a few evenings. Great stuff, unputdownable, but of course in Dutch, and since there is no sign of an English translation in the foreseeable future and precious little information about her exists in English, these notes will be more extensive than usual. She deserves to be better known because of her own accomplishments and the unusual cast of characters in her life (many of whom were assassinated, it now occurs to me) but also because so much of her life reflects the tragic history of what I will call the “old radical Left” in Europe, divided and burdened by heartbreaking failures; and the difficult relationship between that old left and the alternative forces of progress informed by pacifism, the liberation movements of the non-western world, and feminism. And as a bonus: what an impossibly complex soul she was: talented and driven, of course, but also stubborn, intolerant, unbearably bossy; and then again, brave, unselfish, heroic, generous; an enigma throughout her long, rich life. My first post will treat her life and work until her break with communism in the 1920s; a second post will touch on the later years but also make an attempt at understanding her intellectual trajectory, her relationships with feminism and religion, and her curious marriage—the latter topic being of more than personal importance. 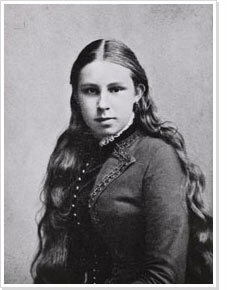 Like many militant socialists of the time, Henriette Goverdine Anna Roland Holst–van der Schalk (“Jet” for her friends, I’ll call her HRH) came from a privileged background. 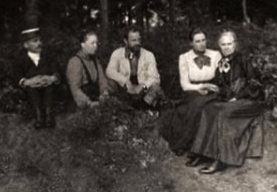 The van der Schalk family belonged to the upper echelons of the Dutch bourgeoisie: enormously wealthy, conventional, and “liberal” in the European sense, i.e. pro-business and the entrepreneurial class. As was customary in her milieu, HRH was brought up by servants and tutors in a stifling, authoritarian atmosphere. Her father typically ignored the exceptionally gifted but headstrong girl, while her mother, more sympathetic, suffered from poor health. Not surprisingly, HRH rebelled while seeking refuge in poetry. When a concerned uncle warned her at the age of twelve that at some point, she’d need to comply with her parents’ wishes and be a lady, she shrugged it off: ”I’ll be a poet anyway.” Her father’s accidental death when she was 23 liberated her from all kinds of constraints–her ailing mother never was a match for her will power. She immediately befriended the writer Albert Verwey and his very unconventional wife Kitty van Vloten, and the successful avant-garde poet Herman Gorter. A year later, through the Verweys, she met the artist Richard (“Rik”) Roland Holst and fell in love. People wrote letters in those days, and kept them. What makes this biography so thrilling is Etty’s skilful use of hundreds of letters to evoke the sentiments and perceptions of all protagonists as if we were witnessing the events in real time. Here is HRH, duly chaperoned of course, visiting Rik Roland Holst in his workshop in February 1893: we follow her eyes as she takes in the interior, with the flowers, the books, the Van Gogh on the wall, the smell of paint and oil thick in the air. There they are a month later, scribbling away, implicitly sealing their engagement by dropping the formal “U” for the informal “je” when addressing each other: not done between the sexes, if you wanted to be respectable. We even learn what the local tax official thought of the daring colors with which Roland Holst decorated their new home near Hilversum: “The memory alone makes me shudder, your honor,” the man told the mayor. They marry in 1896. Without having enjoyed the laughter of victory. From which will flower: the Blissful Life.